I'm here on this forum read almost each tried since two weeks ago and all subjects and videos on internet on how to active your Xbox 360 or PS3 controllers on Dolphin but unfortunately nothing work to me! 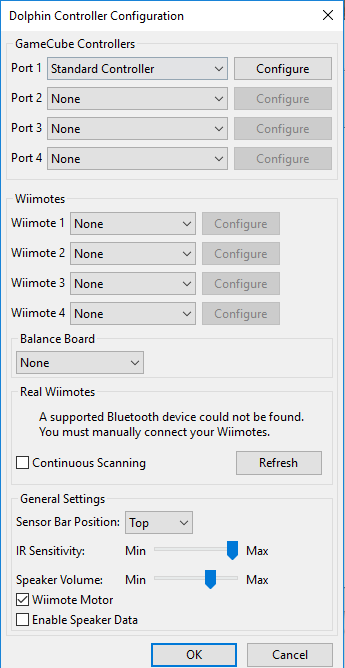 Both controllers software uninstall and re-installed + updated (didn't work). 2.XInput Wrapper installed (didn't work). 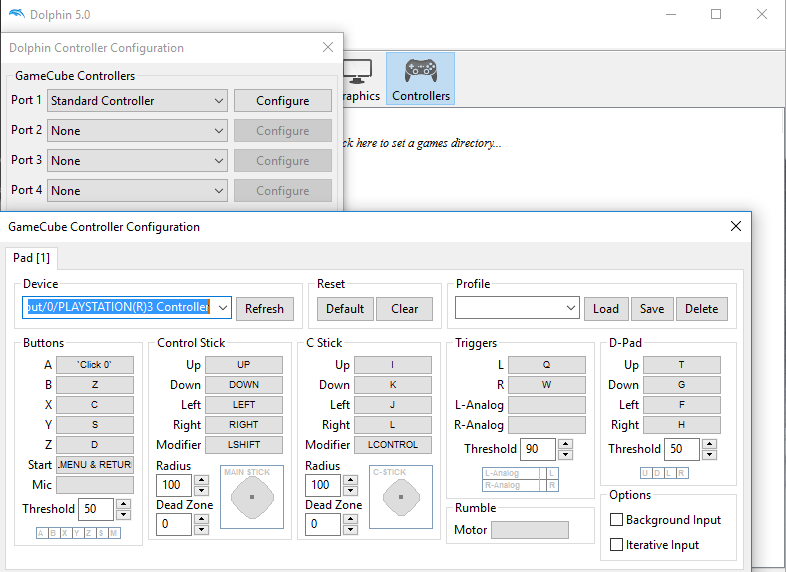 3.Xbox 360 controller driver software installed (didn't work). 4.MotioninJoy 0.7.1001 installed (didn't work). Also tried some other software but it didn't work for me either. 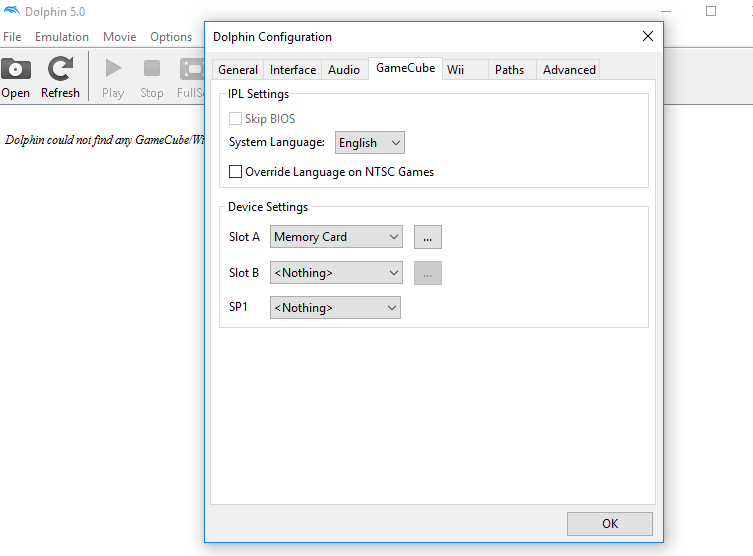 The Dolphin was unable to detect the xbox 360 at all while he detect the PS3 controller successfully but no respond when i try to config or test the controller. So what i should to do in this case please? Screen shot to Dolphin dashboard config it may help to ID where is the problem.